My tomatoes were troopers this year holding onto green romas, blue beauties and red delicious globes into early November, but I gave up and pulled the remainders two weeks ago just so I could begin cleaning the beds and preparing them for winter before heading off to a week’s worth of meeting in San Diego last week. This weekend’s task was to pull the rest of the serranos off before 3 consecutive nights of freezing or below temperatures hit them. 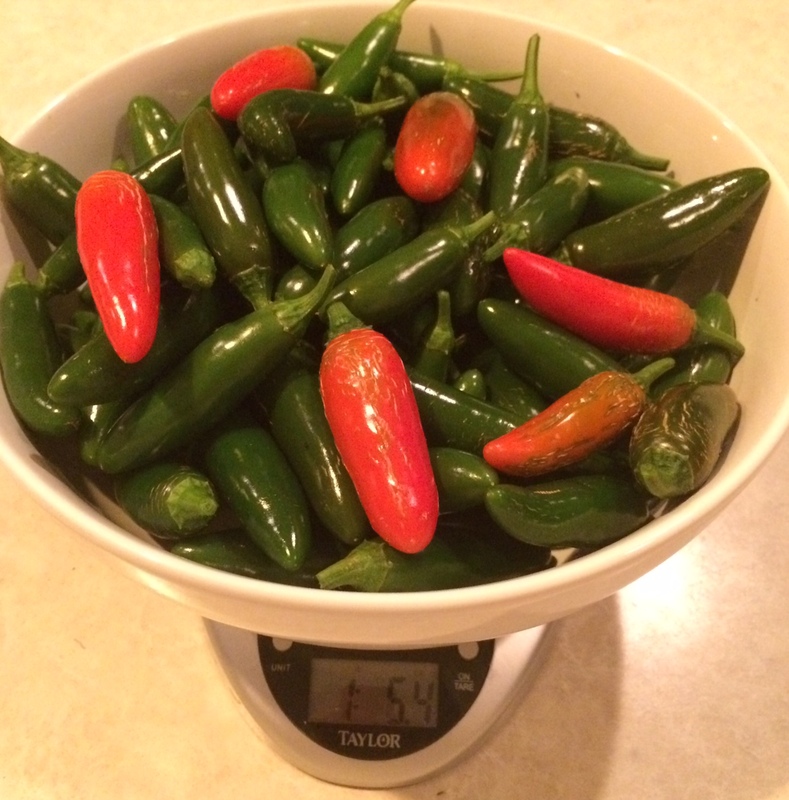 My final harvest ended up being 1lb, 5oz of beautiful peppers that will warm dishes from now until next year. All were cleaned and vaccu-sealed before being frozen except for a few that will go into the Thanksgiving cornbread later this week. On another pepper note, a friend has some seeds that he will be sharing with me from his home country of El Salvador. I am keenly interested in growing them out next year since he doesn’t know the name of them in either his native tongue or English. For now I am thinking of them as Mystery Pepper and what a fun mystery to solve! This entry was posted in Backyard Gardening, Chiles, Chili Peppers, Food Preservation, Organic, Raised Bed Gardening, Serrano Peppers, Square Foot Gardening, Urban Farming. Bookmark the permalink.